Last spring I shared my new craft room gallery wall with you. One of the pieces is a clip frame where I hang some family photos and journaling cards with inspiring words and quotes. I love having those photos on display to remind me of the things that I love most, but I wanted to create a more finished look to it. 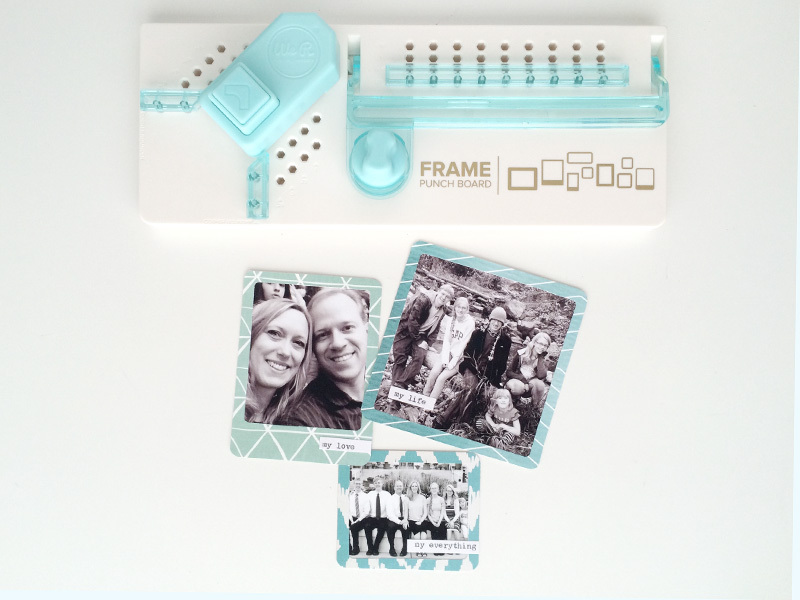 So I pulled out my new Frame Punch Board from We R Memory Keepers and added some simple frames to my photos. 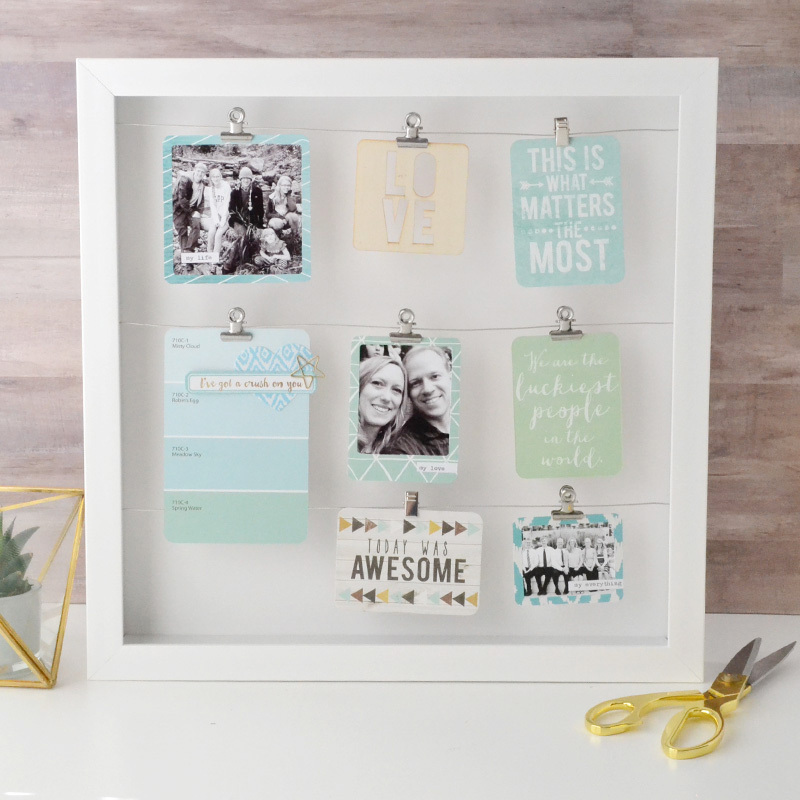 It was easy to add pretty paper frames to my photos to finish them off with my new Frame Punch Board! I simply trimmed some patterned paper to the size of my photos, and then followed the instructions and measurement guides on the board to create the frames. I applied some liquid adhesive to the backs of my frames with a glue pen, and then placed them on top of my photos. 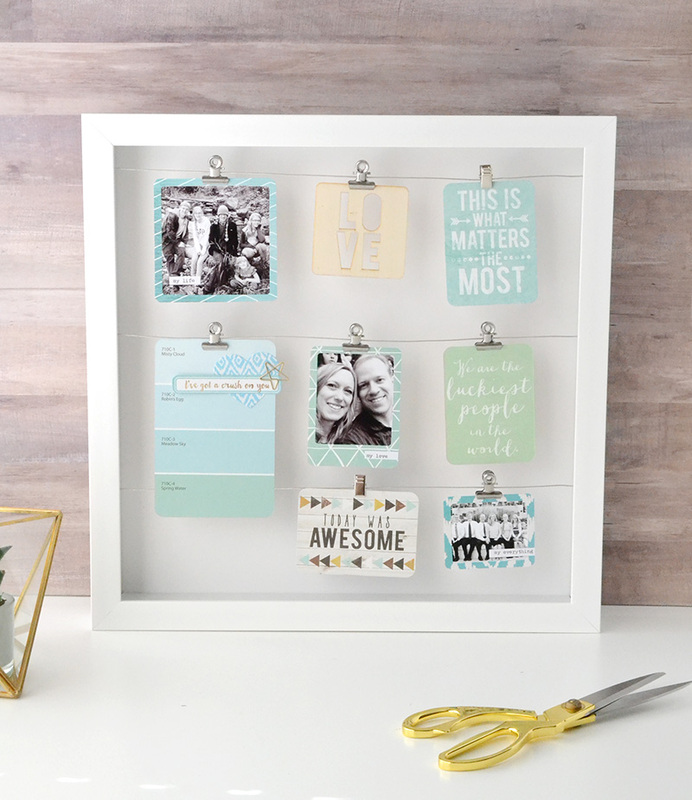 Tip: The Frame Punch Board has a feature that rounds the corners of the frames you create, so use that feature to round the corners of your photos so the frames fit perfectly! If you'd like to see how the Frame Punch Board works, you can watch this video below that I filmed with my friends from Scrapbook.com while at the SPC Mixed Media Show. 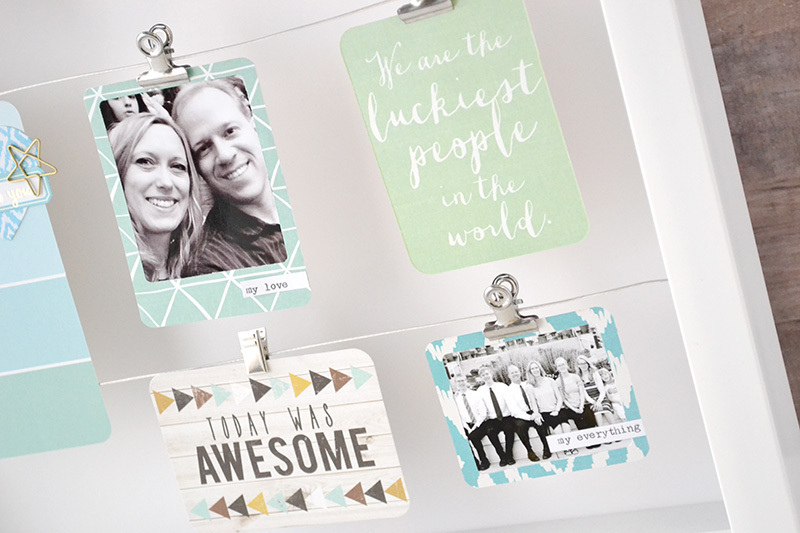 To add a little text to my photos, I typed some phrases on self-adhesive mini labels with my Typecast typewriter and paper collection from We R Memory Keepers. It's so much easier to use my typewriter than my computer + printer! 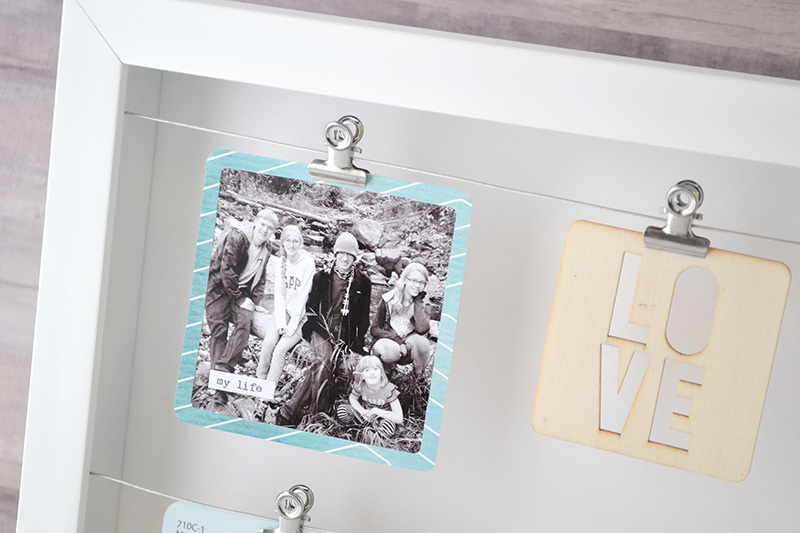 I love the finished look and sense of unity that the frames add to my clip frame photo display. And it was so easy to do with my Frame Punch Board. I love that new tool, and can't wait to make some more projects with it. Stay tuned!